Path40a created the first TCM Programming Challenge in February, 2006 to give people a glimpse into the complexities of the programming process. The challenge has endured because it allows entrants to exercise their imagination, display their knowledge and introduce rare classics. It also helps give us perspective and appreciation for what the real programmers have to go through. TCM Programming Challenges are neither sponsored nor endorsed by TCM but “tcmprogrammr” has stated that programmers happily steal ideas from these schedules. Many entrants have had the joy of seeing their themes and movie selections air on TCM. If you want to see a certain movie on TCM, write a schedule. This is the best way to "request a movie". TCM Premieres that I scheduled before they showed up on TCM include A NEW LEAF, CAROUSEL, and WHAT A WAY TO GO, all of which I had to schedule quite a few times. And I know lots of other people have had the same luck. This challenge opens now and runs through 11:59 PM (Pacific Time) Sunday June 25th. A voting thread will be started shortly after the end of the challenge. Answer: ANYONE! Everyone is welcome to create and post a schedule. Don’t be shy! It's not as hard as it sounds. It's really fun. Anyone will be allowed to vote for their favorite schedule in a separate voting thread after the challenge is closed. You may either vote by posting your selection on the thread or by directly messaging me. The winner has the honor of running the next challenge. Create a week's schedule which begins at 6 AM (EST) Sunday and ends at 6 AM (EST) the following Sunday. The week selected must be between Jan 1, 2018 and December 31, 2018. Each day’s programming should begin at 6 AM (EST.) However, even TCM's schedules don't always start at 6AM --sometimes last night's schedule goes way into the next day, so, really, it's up to you. Primetime/Evening MUST begin at 8 PM (EST.) No exceptions. Feature films must start on the hour, quarter-hour, half-hour or three-quarters hour. Short films or other material can be used to “fill-in” between movies so that there is never more than 14 minutes of unscheduled time between features. Don't feel like you have to write down every "Word of Mouth" or movie trailer that will fill in between, but if there is something special you have in mind, go for it! Star of the Month -- At least four films need to be scheduled featuring a particular individual. Note, that this person must have a large enough body of work that three more nights featuring this person could be scheduled. Sorry, James Dean, that leaves you out. Silent Sunday Night -- A silent movie which begins at approximately 12 AM (EST) Sunday night/Monday morning. TCM Imports -- A foreign language film that begins at approximately 2 AM (EST) Monday morning. The Essentials --- An important classic film that begins at 8 PM (EST) Saturday night. TCM Underground -- A little known or “cult” film which begins at approximately 2 AM (EST) Saturday night. You may include a Guest Programmer but you are not required to do so. Anyone, living or dead, real or fictional, go for it! Running times and studio information may be found in the TCM database, at IMDB.com, in your Now Playing Guide, or the back of your DVD. “Exempt” for Silent Sunday Night, TCM Imports or TCM Underground films. Please note that Animated Disney films will ONLY be permitted if you do a "Treasures from the Disney Vault" segment, and can only be used in that segment. Basically: If it's been on TCM before, you can use it "free". If it's never been on TCM, you have to list it as a premiere. Since I basically won the last challege by bringing back Cartoon Alley, I'm forcing my favorite cartoons into all of your schedules. You are requred to schedule at least one classic Goofy cartoon, but not just any cartoon--it must be one of his many instructional cartoons, such as How to Swim, The Olympic Champ, The Art of Self Defense, etc. Unlike regular Disney cartoons, these are narrated documentary style, then Goofy messes them up. These are my favorite types of all Disney toons, and I'd like to see them on TCM. ...though not all of these will work. 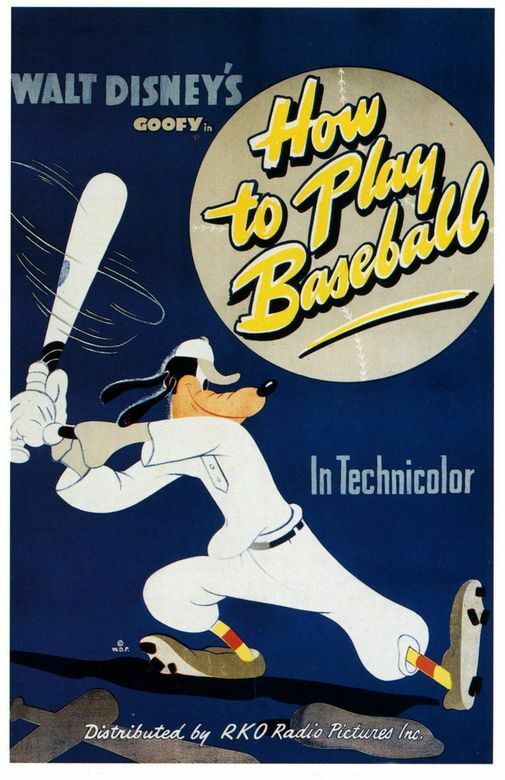 Not all of Goofy's instructional cartoons are called How To, but many are. If you're new to Goofy, you can ask me if a cartoon counts, or just watch it (they're all on youtube in some form or other and they are awesome). But basically if there's a narrator it's probably the kind I mean. The challenge part of this is that these cartoons must fit with a theme. Don't just throw The Olympic Champ in there floating in space, group it with CHARIOTS OF FIRE and COOL RUNNINGS in a day of Olympic movies. In addition to any amount of Goofy cartoons, you are allowed 2 premieres with this challenge. In honor of the 40th Anniversary of Star Wars, you must do some sort of Star Wars Theme. Schedule a block of at least 4 films relating to Star Wars in some creative way--create a theme based on a Star Wars quote, have a Star Wars character be a guest programmer, pick a Star Wars actor as SOTM, etc. For this challenge you may schedule (not required) one of the movies in the original Star Wars Trilogy (A New Hope, Empire Strikes Back, or Return of the Jedi--none of the lame prequels! ), but not all three because that would be cheating. You may have two free premieres for this challenge, other than the Star Wars movie. (So you can have up to three, in other words: Star Wars plus two others.) For those of you who aren't Star Wars fans, just do a John Williams night. Your star of the month MUST be someone who has never been a Star of the Month before. If they had been honored in Summer Under the Stars but haven't been Star of the Month, that's all good. This is for the many awesome actors that TCM has never honored but who deserve attention. There are many to choose from. Remember: they have to be feasible SOTM choices with enough movies to fill 4 weeknights over a month, so at least 16 movies (4 movies on 4 seperate nights). That's why Shirley Booth never can be SOTM, alas. One again, two additional premieres may be used in this section. NOTE: This can be combined with the Star Wars challenge, but you don't get to accumulate premieres--two only! I am a major Disney Kid, so I'd love to see what you'd pick if you were Leonard Maltin. You can schedule classic Disney animated films in this section only, but try to have a variety of short cartoons, True Life Adventures, live action movies, World of Color episodes, etc. This would be a weeknight block that goes as late as you want. Anything you schedule as a premiere on this night is a free premiere that doesn't count towards your limit of 12. Load up those treasures! NOTE: This CANNOT be combined with the Goofy challenge, however you can schedule Goofy cartoons in both. So if you put HOW TO SWIM and THE ART OF SELF DEFENSE in your Treasures from the Disney Vault section, you must STILL do a separate block of films with a Goofy cartoon, i.e. your Olympics schedule with THE OLYMPIC CHAMP. Go to, my fellow constituents, and may the force be with you! Can't wait to see your Star Wars themes! Question about the Goofy Challenge. Are we required to have more than one Goofy cartoon or can we simply choose one and create our theme around that cartoon?? Sorry if I am being obtuse. Just want to make sure I am approaching this correctly! Is there a list of SOTM's for 2016/2017, because the list included in your link only goes to 2015? I also don't get the whole concept of the primetime programming starting exactly at 8:00 pm. Can you be within 15 minutes of that time? I am sorry to say that I do not have list for: 2017. Because that's how TCM does it. If you'll notice, primetime ALWAYS starts exactly at 8pm Eastern Time. Everything else is flexible but that never strays (as far as my memory goes). And since the idea is to imitate one of their schedules, that's why we do it that way. As to why THEY do it that way, I have no clue. It seems like an arbitrary number, especially since here in LA it starts at 5pm--who on earth knows why corporate decisions come to pass. Remember if your last movie of the day ends at 7:40 you can throw in a short to make up for the time. Great challenge LP! I love the Goofy videos. I think I have my SOTM picked out. I'm going to come up with a #2 (and maybe a #3) if my first choice is taken. Lol. I have my Goofy cartoon chosen and I was going to pick a pretty off-the-wall SOTM (who I have been wanting to do for a long time) anyway so I think I'll be set for that. 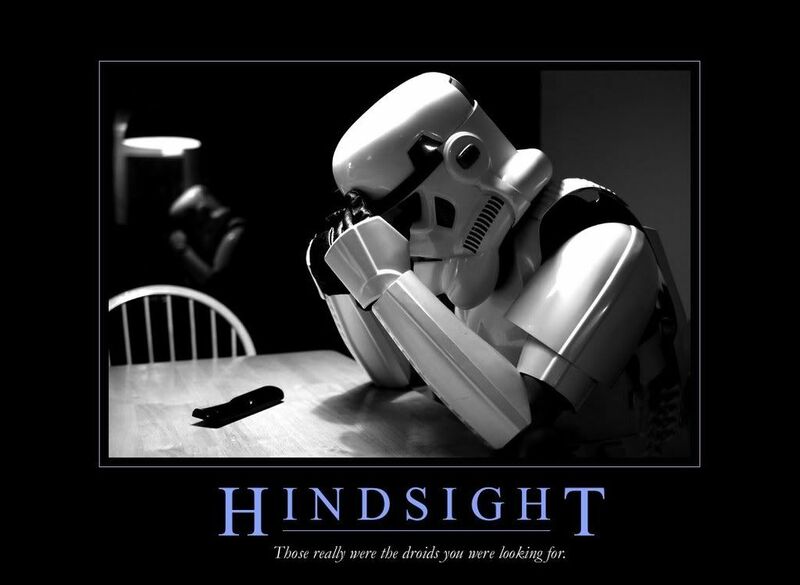 I was giving a lot of thought to the Star Wars challenge last night. That's a tricky one. How many premieres are permitted for Challenge #36? I see that there are some premieres permitted for the specific challenges but apart from that how many do we have? 10? 12? Does the period of airtime that runs from 6:00 to 8:00 have to have any specific themes? One more important question. Do cartoons and other shorts count as premieres? I know you said the Goofy cartoons don't count as premieres, but what about others included in our schedule? I'm just asking because I'm halfway through my schedule and I'm cutting it close to my 12 premiere limit. Shorts don't count as premieres. Cartoons are fine to use and don't count either except don't schedule any additional Disney toons outside your Goify Challenge or Disney Vault challenge. Does Beauty and the Beast count as classic? Good. I thought when you said classic Disney movies you meant ones like Pinocchio and Mary Poppins and the like. I thought that a Disney films released in 1991 might not gel with the usual TCM programming. 11:20 AM Short: How to Ski (1941) Goofy Disney 8 min. 11:30 AM Escape (1940) Norma Shearer & Robert Taylor D: Mervyn LeRoy MGM 104 min. 8:00 PM The Big Parade (1925) John Gilbert & Renee Adoree D:King Vidor MGM 142 min. 10:30 PM The Crowd (1928) James Murray & Eleanor Boardman D:King Vidor MGM 104 min. 12:30 AM Silent Sunday: Bardelys the Magnificent (1926) John Gilbert & Eleanor Boardman D:King Vidor MGM 91 min. 4:00 AM Smiles of a Summer Night (1955) Ulla Jacobsson & Eva Dahlbeck D:Ingmar Bergman Janus Films 108 min. 6:00 AM 2001: A Space Odyssey (1968) Keir Dullea & the voice of Douglas Rain D:Stanley Kubrick MGM 149 min. 9:19 PM Short:How to Dance (1953) Goofy Disney 9 min. 12:38 AM Short: How to Be a Sailor (1944) Goofy Disney 7 min. 2:19 AM Short: How to Play Football (1944) Goofy Disney 8 min. 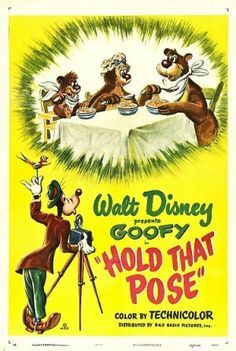 5:51 AM Short: The Act of Self Defense (1941) Goofy Disney 9 min. 6:00 AM Adventure (1945) Clark Gable & Greer Garson D: Victor Fleming MGM 125 min. 6:00 PM Good News (1947) June Allyson & Peter Lawford D:Charles Walters MGM 95 min. 9:45 PM The Thin Man (1934) William Powell & Myrna Loy D:W.S. Van Dyke MGM 94 min. 1:15 AM Deep Valley (1947) Ida Lupino & Dane Clark D: Jean Negulesco WB 104 min. 6:45 AM On Dangerous Ground (1951) Robert Ryan & Ida Lupino D: Nicholas Ray RKO 82 min. 8:15 AM The Locket (1946) Laraine Day & Brian Aherne D: John Brahm RKO 86 min. 9:45 AM Where Danger Lives (1950) Robert Mitchum & Faith Domergue D: John Farrow RKO 80 min. 11:15 AM The Racket (1951) Robert Mitchum & Robert Ryan D: John Cromwell RKO 88 min. 12:45 PM His Kind of Woman (1951) Robert Mitchum & Jane Russell D:John Farrow RKO 120 min. 2:45 PM The Set-Up (1949) Robert Ryan & Audrey Totter D: Robert Wise RKO 72 min. 5:15 PM Armored Car Robbery (1950) Charles McGraw & Adele Jergins D: Richard Fleischer RKO 68 min. 6:30 PM The Las Vegas Story (1952) Jane Russell & Victor Mature D: Robert Stevenson RKO 88 min. 5:00 AM None but the Lonely Heart (1944) Cary Grant & Ethel Barrymore D:Clifford Odets RKO 113 min. 7:00 AM The Corn is Green (1945) Bette Davis & John Dall D: Irving Rapper WB 114 min. 3:45 PM Goodbye, Mr. Chips (1939) Robert Donat & Greer Garson D: Sam Wood MGM 114 min. 10:15 PM Queen Christina (1933) Greta Garbo & John Gilbert D: Rouben Mamouilian MGM 97 min. 7:00 AM Seven Chances (1925) Buster Keaton & Ruth Dwyer D: Buster Keaton MGM 56 min. 8:00 AM Sherlock Jr. (1924) Buster Keaton & Kathryn McGuire D: Buster Keaton MGM 45 min. 8:45 AM The Scarlet Letter (1926) Lillian Gish & Lars Hanson D: Victor Stostrom MGM 97 min. 10:30 AM The Student Prince in Old Heidelberg (1927) Ramon Navarro & Norma Shearer D:Ernst Lubitsch MGM 105 min. 12:15 PM He Who Gets Slapped (1924) Lon Chaney & Norma Shearer D: Victor Sjostrom MGM 85 min. 1:45 PM The Wind (1928) Lillian Gish & Lars Hanson D: Victor Sjostrom MGM 88 min. 3:15 PM The Patsy (1928) Marion Davies & Marie Dressler D: King Vidor MGM 77 min. 4:45 PM Lady of the Night (1925) Norma Shearer & Malcolm MacGregor D: Monta Bell MGM 61 min. 6:00 PM Greed (1924) Gibson Gowland & ZaSu Pitts D: Erich Von Stroheim MGM 117 min. 10:15 PM Out of the Past (1947) Robert Mitchum & Jane Greer D: Jacques Tourneur RKO 97 min.